Neighbour Networking – the Next Big Thing in the UK? With the New Year just around the corner everyone is wondering what the 2012 digital media trends will be, and one possible answer is the expansion of neighbour networking sites in the UK. 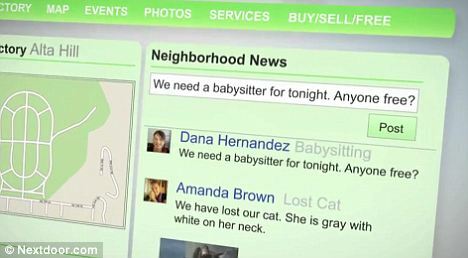 ‘There are so many ways our neighbors can help us, but these days most people dont know their neighbors or how best to contact them.’ So, the suggestion is that if you need a neighbour to help you out moving some furniture, or providing a night’s babysitting, you hop onto the social network and see who is available. It also provide the opportunity to get to know your neighbours slightly better and hopefully carry on the interaction face-to-face. Now, why is this relevant to businesses you might ask? Well, I wondered whether 2012 might see us recognise the need for this in a business environment. Many SMEs are based on rural or urban business parks and might have little or no interaction with their neighbouring businesses. But is if there were a social network that facilitated this, it could lead to much more collaboration and socialising. What are your thoughts? Do you think this could take off in the UK? Would you use it personally? Or professionally? Or more importantly, do you think there is already something out there that caters for this requirement? Posted by DigitalPrefect in Next Big Thing, Social Media - Facebook/Twitter etc. Love the idea, maybe I’ll finally get our business park rounders match organised! !